Oct. 23, 2017, 10:34 a.m. The European Network on High Performance and Embedded Architecture and Compilation (HiPEAC) organizes several events throughout the year to promote the great science being developed in the field in several European cities. 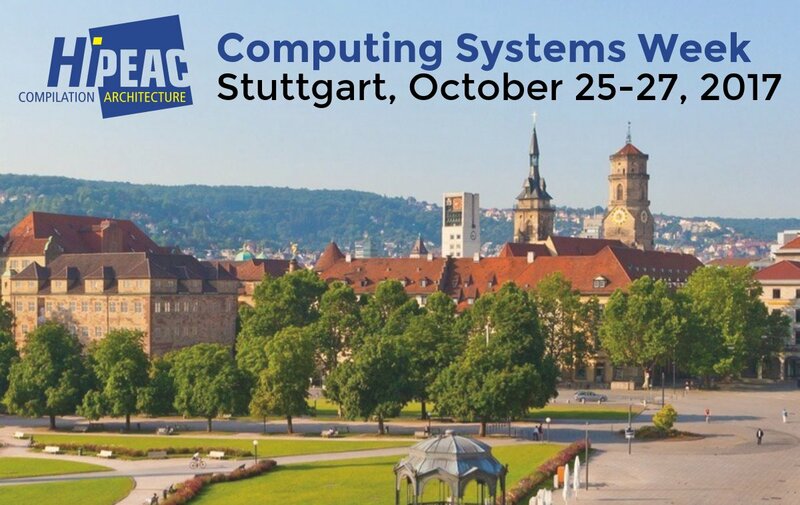 This time Stuttgart, Germany, is the place to meat and find out what is new and trendy (see HiPEAC CSW Stuttgart). This will happen in October 25th-27th. M2DC will be present in this event in a common workshop with other European projects - OPERA, VINEYARD and dRedBox - in the context of energy efficiency. The workshop entitled "Heterogeneous and Low Power Architectures for the next Generation Cloud and Cyber-Physical Infrastructures" is organized by Alberto Scionti and Olivier Terzo, and will focus energy-efficient technologies in the high performance perspective. In this event UBI and CEA will present the latest M2DC results in two talks. For more information see here the full program of the event. See you at Stuttgart!